As much as we love Asian food, it is much easier to go out to a sushi bar or order in for Thai than to try to cook it from scratch. Unless you grew up in a household where Japanese, Thai, Vietnamese, or Korean recipes were handed down like grandma’s apple pie, chances are you’ve never even heard of perilla leaves. Well we’re about to change all of that! If you’ve ever tried your hand at cooking authentic tataki or sashimi, the list of ingredients for these recipes probably included foods and seasonings that you’ve never heard of before. Perilla leaves is one of those things that are harder to find outside of Asia, but are essential if you want to take a stab at cooking genuine hiyamugim, shiso chiffonade, or cold noodle soup. Now let’s get to the nitty gritty. You are already wondering what perilla leaves are and maybe you have a recipe that calls for it but you have no idea where to get it. Well, that can be tricky. You can find packaged green leaf shiso – usually in the western U.S. or at an Asian grocery. But if none of those options are available, there are some substitutes you could use. 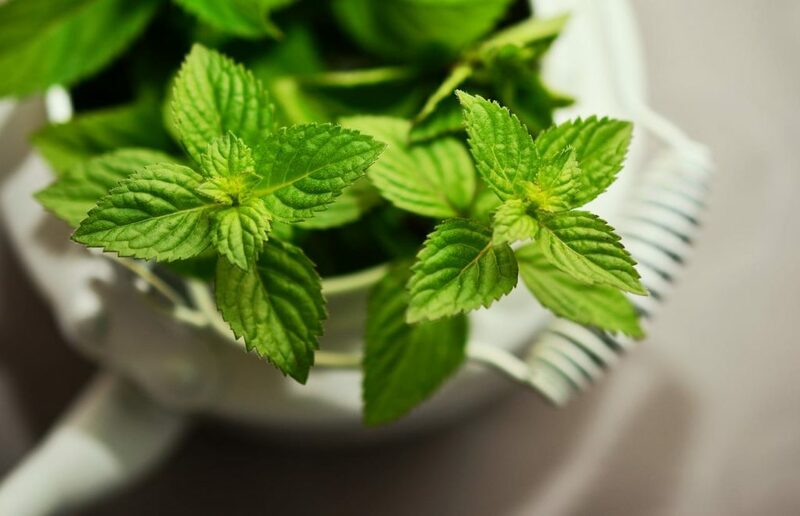 Since some perilla leaves are part of the mint family, you can use mint as a substitute. In fact, that is probably the best substitute for perilla leaves if you are using it as a seasoning – not necessarily as a side dish or garnish. Other seasonings that can sub in for perilla leaves in a pinch include spices with a similar peppery, kind of minty taste. The next best thing to mint is Thai basil which also belongs to the mint family. Of course it’s not quite the same but if you have no alternative, it will work. You can also try sweet basil since you may have that already in your spice rack and if push comes to shove, cilantro works too. To substitute perilla leaves used as wraps, your best substitute would be grape leaves since they are big enough to hold food and strong enough to cook. The flavor may be a little different but close enough that it won’t hurt the overall taste of your wrap. The first thing you should know is that there are perilla leaves that are edible and some that are not. When the red leaf variety first appeared out West in the U.S. back in the mid 1800s, it was used as a decorative plant – considered more like a weed than a food! Well we’ve learned a lot since then. This herb may have been new to the Americas, but in Japan, it’s been used in Japanese cuisine for more than a millennium. There are many different varieties of this herb and it’s mostly used for cooking Vietnamese, Thai, Japanese, and Korean food. It’s easy to see how it could be confused with a weed. Perilla comes as an herb, a vegetable, seeds, and as an ornamental plant yet it is often referred to simply as perilla. The edible kind belongs to different genus varieties from the P. frutescens crispa to the lamiaceae family. Before you start cooking with perilla leaves, you need to know that a perilla leaf by another name is not necessarily the same! 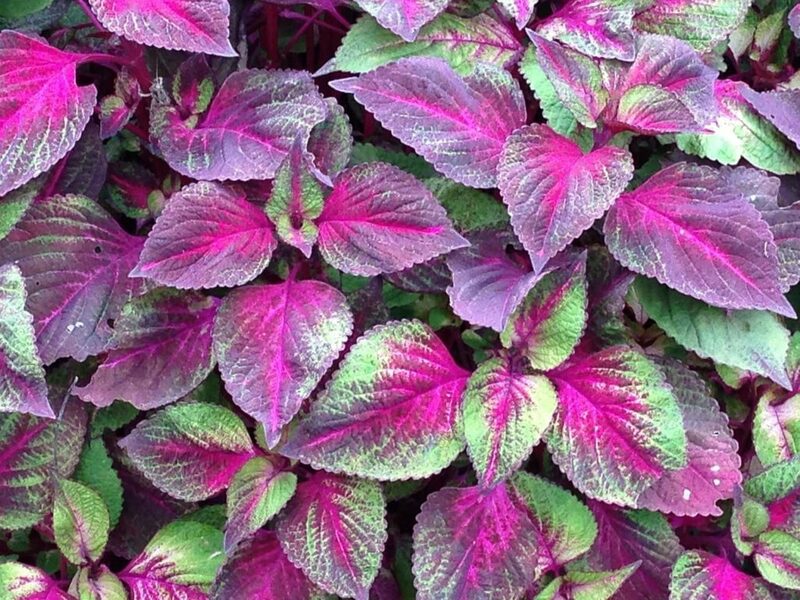 In the U.S. – Americans (mostly westerners) may know the perilla leaf as perilla mint, wild basil, summer coleus, wild coleus, Chinese basil, purple mint, or the beefsteak plant (red/purple with white veins through it – like a slab of beef). In Japan – It’s mainly called shiso in Japan but the type of shiso or perilla leaf you are talking about is distinguished by color. The green leaf version is called aojiso or ooba. The red variety is called akajiso. The variety with two-colored leaves (like the beefsteak plant) are called katamen shiso. Red and green shiso with “crinkly” leaves are called chirimenjiso. In Korea – The inedible version is used as a garnish and is called tul-kkae (wild sesame). In Vietnam – Perilla leaves are called tía tô. In China – Shiso, which is actually a variant of the Chinese word zǐsū (the genus name), is commonly called huíhuísū. Each culture prepares perilla leaves differently and uses different parts of the plant as either garnish or food. Generally speaking, the leaves are big and wide in the shape of an oval. It points at the tip while its edges are jagged. You can find recipes that call for the raw leaves (usually chopped), some use the plant sprouts, and others use the seed or oil from the seeds as seasoning. Japan by far uses shiso the most in its cuisine with many different ways to cook it. Starting with the green leaf version since it is the most popular, one way it is prepared is as a whole leaf. A nice serving of sashimi is often complimented with a side of aojiso leaves. Many chop it up and sprinkle it on top of dishes like spaghetti or salads like you would cilantro. Aojiso is a staple when it comes to cooking Japanese soups. Cold noodle or tofu soups all use aojiso to add a kick to it. The red version is mostly used as a garnish. Its seeds can be blended with salt and used as a spice. And they are good for pickling cucumbers and eggplant. Red leaf shiso can also be used to dye foods with its deep pigment making some really gnarly looking tea! Green leaf shiso can be dried and turned into tea but it doesn’t go from being purple to bright red like red leaf shiso.